Make some room on the bookshelf, because our newest #ReadWithJenna book club pick is here. The next #ReadWithJenna pick promises to be both heartbreaking and hopeful. It's Julie Yip-Williams' "The Unwinding of the Miracle." "It's a beautiful story about what it means to live," Jenna told TODAY. "So, it's sad in some ways. But also, for us still living, it's a great reminder that life is precious, and it's a gift — and to live every single day like it's our last." Published posthumously, Yip-Williams' memoir traces her life beginning with her tumultuous childhood in Vietnam through her personal and professional successes as an adult. When confronted with a terminal diagnosis, Yip-Williams set out to document the miraculous life she'd led and the difficult task of grappling with its early end. "She wrote throughout her cancer diagnosis to, I think, make sense of it," Jenna said. "But she also had two young daughters, like I do. She was the same age that I am when she was diagnosed, which I think was one reason I immediately connected with it." In a month when many will be celebrating religious holidays like Easter and Passover, Jenna also said this book will open up interesting and inspiring conversations about faith. "I think this is part of what she’s left behind. So, I felt lucky and privileged to read it, and I hope everybody else does, too." We hope you'll join us in reading this powerful story. 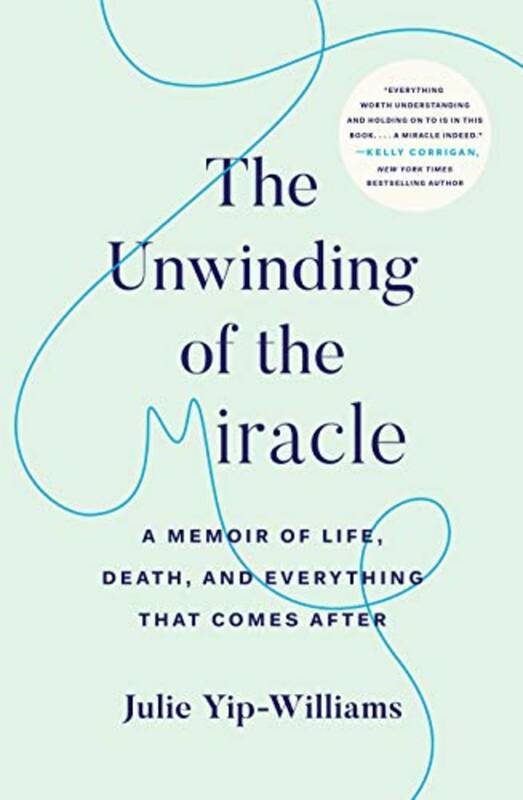 To stay involved all month long, be sure to follow us on Instagram (don't forget to tag your photos with the hashtag, #ReadWithJenna) and join our Read With Jenna Facebook group to continue the conversation about "The Unwinding of the Miracle."